There's nothing quite like the smell of fresh laundry. 1. A lost sock sign that can help you reunite some missing pairs and stop wearing mismatched socks every day. Reunited and it feels so good! 2. A foldable drying rack to bring out when you need to use it and to hide away when you don't. Perfect for small spaces! Get it from Amazon for $23.15. 3. A tub of Oxi Clean stain remover so effective it'll replace all those other unsightly cleansers you've tried. This'll make stains (and clutter) disappear, because no one needs to see what you ate for lunch the last time you wore that shirt. Get it from Jet for $9.47. 4. A glass jar so you can trash that eyesore packaging and display your detergents in a way that's actually pretty cute. 5. A folding board with three quick and easy steps that may actually make you excited to fold your clothes for once. Promising Review: "Maybe it was because I watched a YouTube video beforehand and maybe because anything is better than my normal clothes folding routine, but I had no trouble getting the hang of this product. It has made folding my clothes FUN. Whaaaat?" —Sandra H.
6. A laundry symbol framed print because your brain has more important things to remember that what every laundry symbol means. Get it from LetteredandLined on Society 6 for $40.99+ (available in six sizes). 7. A laundry-sorting hamper so your favorite white shirt never becomes your least favorite pink shirt again! Get it from Wayfair for $48.99 (available in three colors). 8. An over-the-door drying rack to solve the annoying "lay flat to dry" problem with sweaters and delicates. 9. An at-home dry cleaner kit that'll save you loads of time and money. Starter kit includes booster spray, one bag, and four cloths. The starter kit can clean up to four loads/20 garments. You can get extra booster spray and cloths here. 10. A super sturdy laundry center for rolling around large loads of laundry so you won't have to carry them. Get it from Amazon for $54.22. 11. A fabric defuzzer to revive dingy pilled clothes back to their freshly purchased prime. 12. 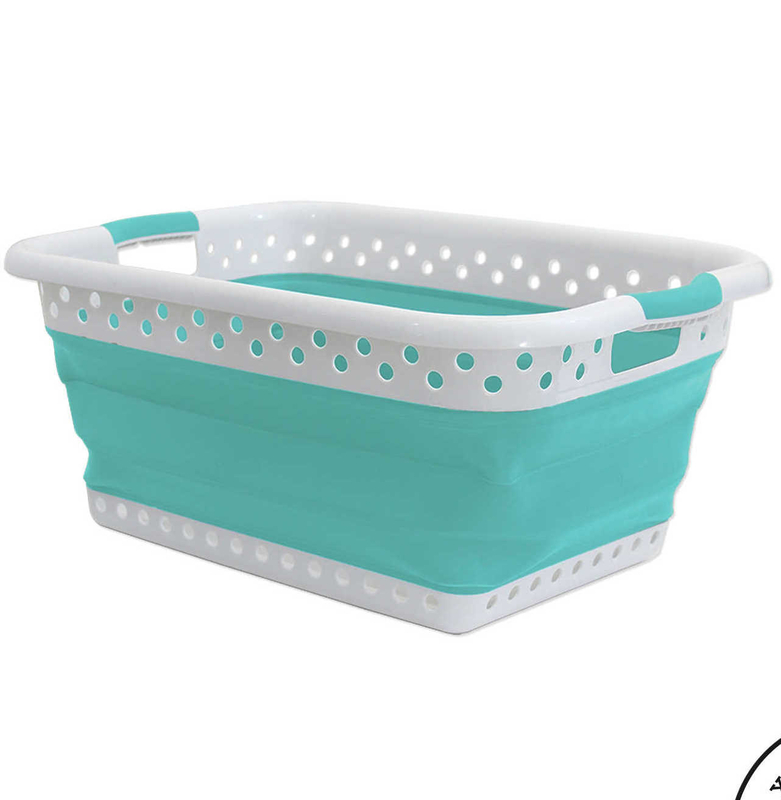 A set of three stylish baskets so your laundry room can be an organized haven worthy of a Pinterest board. Get them from Target for $35.39. 13. A hanger organizer to save you from the frustration of detangling a pile of hangers. Seriously, it's just as annoying as detangling a necklace! Holds up to 30 hangers. 14. 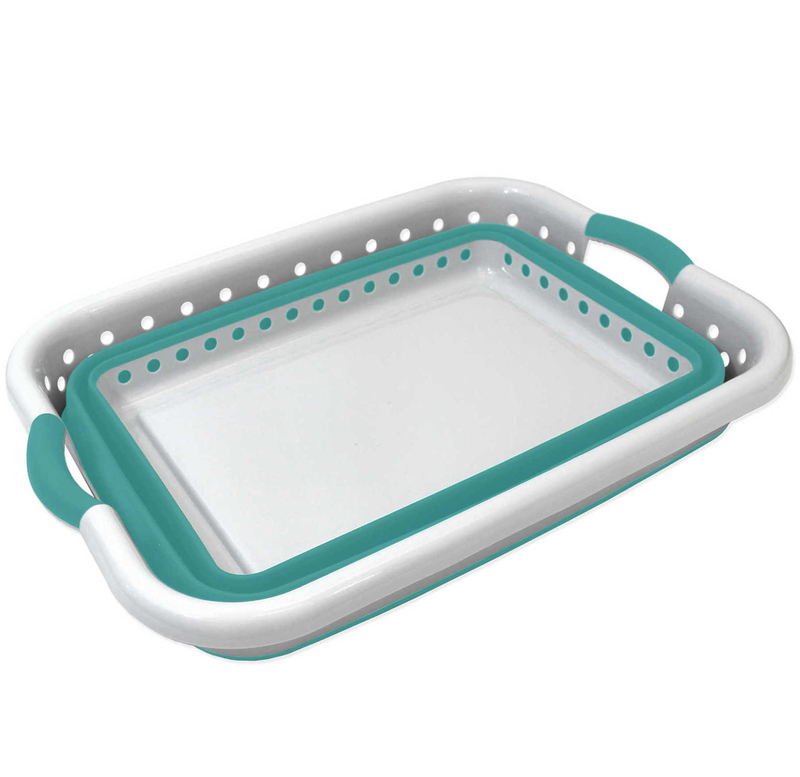 A collapsible laundry basket that'll be the ultimate space-saving solution for small apartments or houses. Get it from Bed Bath and Beyond for $19.99 (available in three colors). 15. A lint vent cleaner — it shock and disgust you with what it cleans out, but at least your dryer will no longer be a fire hazard. Get if from Amazon for $12.97. 16. 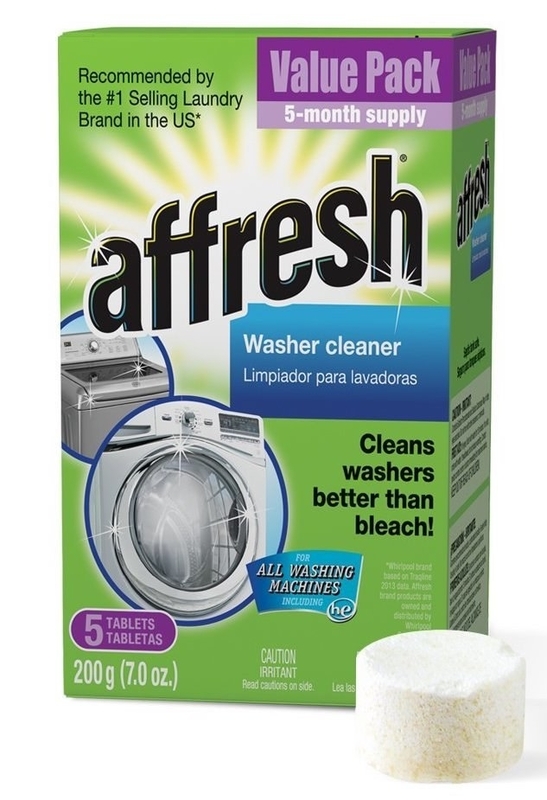 A pack of washer cleaning tablets to clean out the built-up dirt and grime inside your washer and get rid of the yucky mildew smell from years of use without a proper cleaning. 17. A six-pack of Woolzies dryer balls for an all-natural, eco-friendly alternative to harsh fabric softeners. Plus, they'll look so much cuter than a box of traditional dryer sheets. These will last for up to 1,000 loads, and they reduce drying time by 25% so you can save on energy. Get them from Amazon for $19.49 (available in two colors). 18. 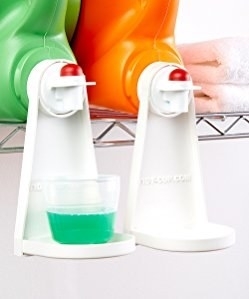 A tidy cup laundry detergent catcher so leaky dispensers don't make a mess in your laundry room. 19. A set of three bra washing bags — it will quickly become your favorite thing in your laundry room when you never have to waste time detangling bra straps or crying because your favorite bra came out deformed. Get them from Amazon for $12.45. 20. A piggy bank to collect all your pocket change and save up for something fun. It'll help make doing laundry more exciting. Get it from Walmart for $13.86. 21. A heat-resistant iron and ironing-board holder so you don't have to wait for the iron to cool down before cleaning up. Get it from The Container Store for $14.99. 22. A steamer that can last for up to 50 minutes before needing a refill, not that you'd ever wish to be steaming clothes for that long. Get it from Walmart for $34.87. 23. A three-pack of clean linen scented candles to make the rest of your home smell as amazing as your laundry room. Get them from Amazon for $7.70.